Whether it’s 303 basslines or those pesky little tabs of lysergic, everyone loves a Taste Of Acid. 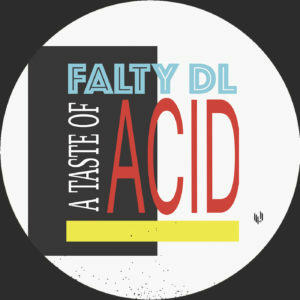 FaltyDL, being one of the many believers, delivers four cuts of A C I D for Hypercolour. The Black Madonna​ - Great! Chrissy (Smart Bar Chicago) ​- This is dope! Ivan Smagghe​ - Track 2 is a monster! William Djoko​ - FaltyDL never ceases to amaze me, so good! Octo Octa​ - Bleepy, love it!